With Smartphone processors bumped up to launch rockets, and display resolutions reaching 8K, a whole new era of learning is now in order. These new age technologies now have the capability to power platforms for Immersive Microlearning – Something that you can add into your existing learning goals & technology. 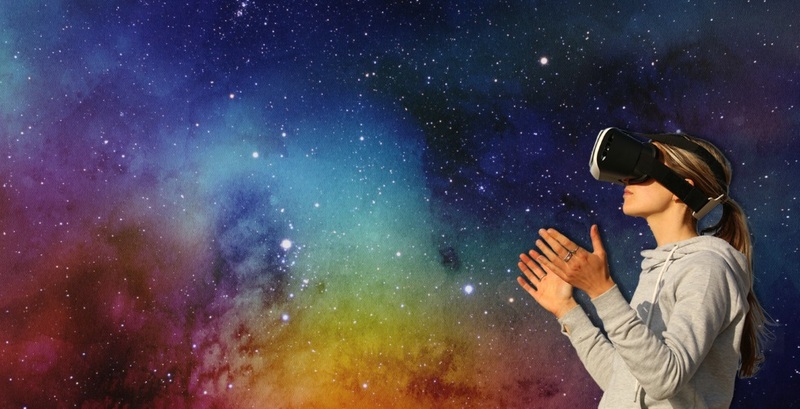 Stats show that adoption of Immersive Tech like VR & AR in education is at an all time high. It is not unusual for us to see most of the conferences being dominated by VR/AR apps. So, why this rush of jumping onto the bandwagon of this new technology? According to ATD(Association of Talent Development), VR training has a greater impact on cognitive skills of a learner than video tutorial or text writing. The visual information scanning coupled with psychomotor applications, such as observing things while moving in a simulated environment makes the memory retaining process a lot easier. In a recent study, two groups of participants volunteered for a test. One group of participants was presented with a 360-degree VR video of a motorcycle ride and another group was presented with a 2D video of a motorcycle ride. The results were astonishing. The VR group performed twice as well as the 2D video group in the memory recollection test. Researchers explained that the episodic occurrence of events in a VR video evokes stronger emotional response. Hence learners are able to recollect almost 80% of the information they learned in a VR immersive learning platform. Imagine that power of 80% recollection for your Learning Modules. 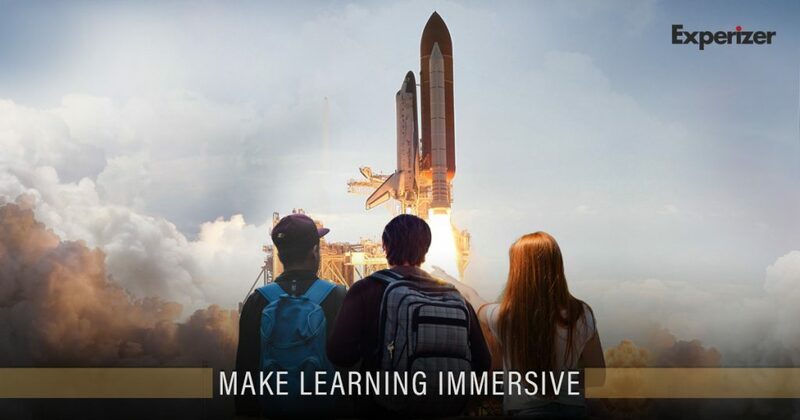 Following are some of the experiences that you can use while implementing Immersive Learning. 360-degree Flash Cards: Flash cards being one of the most widely used Learning Aid, Instructional Designers love this aid for helping Learners recollect. A 360 environment that allows in yielding the benefits of this Instructional technique is proven to be impactful than the traditional Flashcards. To check out an example of these Flash Cards click here. Virtual Tour Experience: A learner can visit a virtually simulated facility or a lab by visualizing it through his VR headset. Imagine the power of navigating through and observing the insides of a factory or an organization without even being present there physically. Fire & Safety Experience:Virtual reality makes a safe environment possible for the firefighters to train for hazardous situations. The interactive action-oriented feature of VR gives firefighters the edge to develop tactics to handle a situation in an efficient manner. Show & Tell Experience: Make a person familiar with any area and assess his knowledge. You can create informatics, audio, video, text tabs in a 360-panorama environment to showcase the highlights and a brief overview of a facility, studio, or an organization. Trivia Room: Immersive learning helps increase involvement and engagement of a student as opposed to a traditional classroom experience. A VR experience helps students increase their involvement in a simulated environment resulting in better focusing capabilities and efficient learning experience. Survey:A VR experience lets students relive an experience infinite number of times. For instance, a student can learn about the human anatomy by actually experiencing how the organs of the human body function in a simulated environment. Experizer makes creating these modules really easy. Just add content to the readymade template and distribute it across various devices. Check out these videos to find out how to create your Immersive Content in matter of minutes with ABSOLUTELY NO PROGRAMMING! Try out a 14 day Free Trial today!